This is a hip hop group that I’m in with a few friends. We’re building our sound right now and having a great time doing it. The band consists of ‘Half-Loonie’, ‘Expensive’ and ‘Filthy Rich’. We’re all about the almighty buck and lack there of. Stay tuned for more music, artwork and hopefully swag. 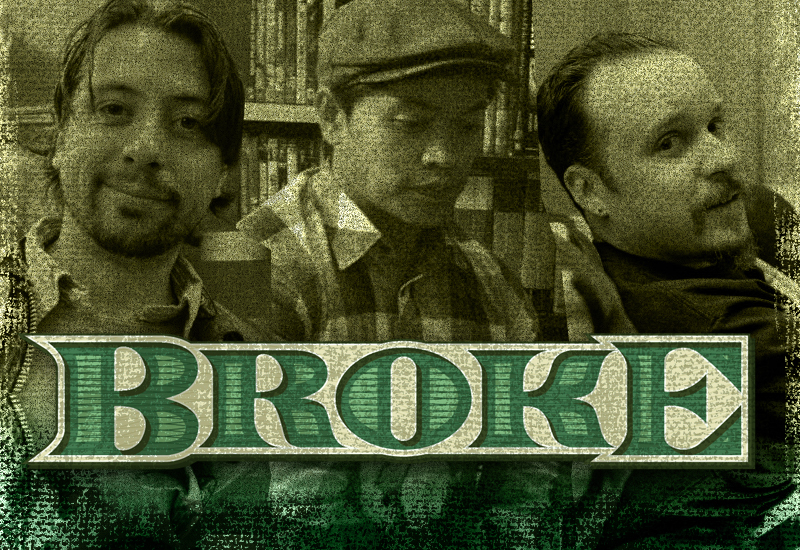 Listen to BROKE on myspace. Copyright © 2017. All artwork by Richard Patmore. All rights reserved.